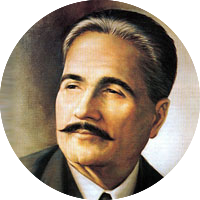 Ranjish.com has lots of Urdu Allama Iqbal Poetry. Feel free to add your own Allama Iqbal Shayari here. 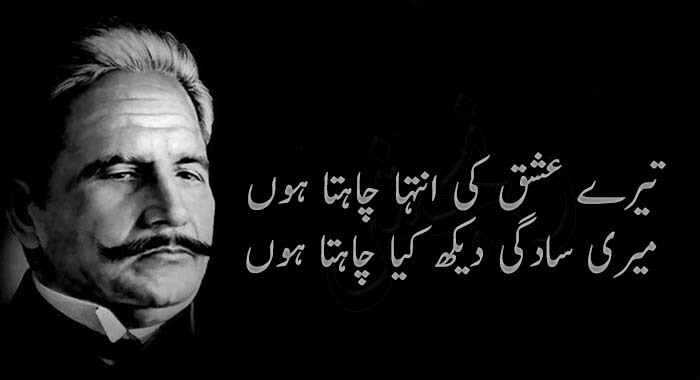 Allama Iqbal was the pioneer of urdu poetry. Even today Allama Iqbal Poetry is an inspiration for youth of pakistan. Allama Iqbal was the one who dreamed of Pakistan. 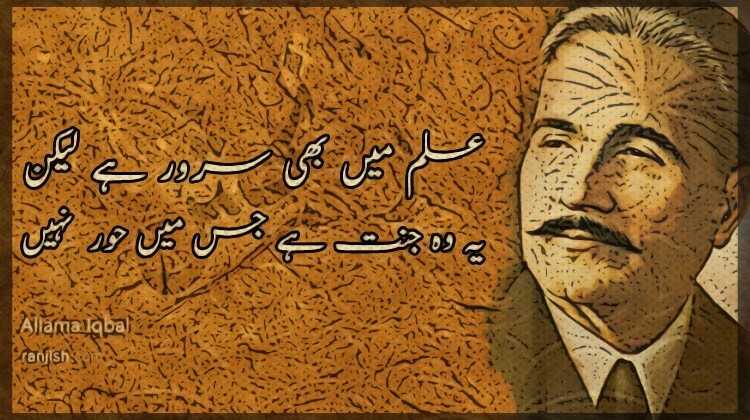 Stating Allama Iqbal the GodFather of Urdu Poetry will not be wrong at all. 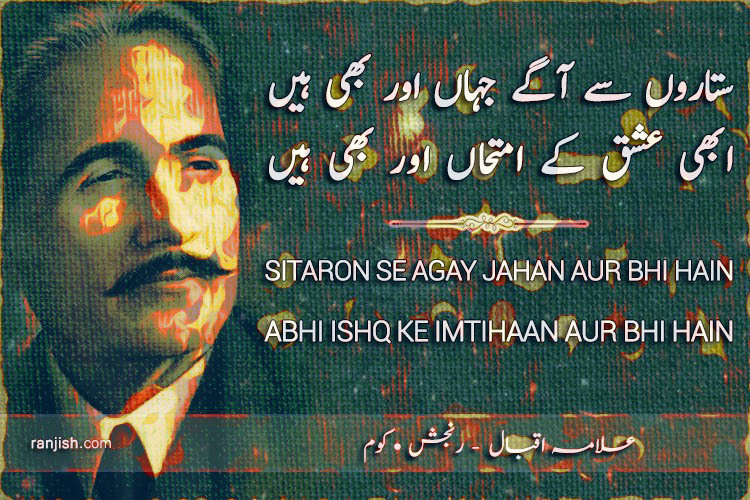 Ranjish.com is the ultimate place to find and read Allama Iqbal Poetry. Mana ke teri deed ke qabil nahin hoon main..
Tu mera shauq dekh, mera intezaar dekh..
Acha hai dil ke sath rahe pasbaan-e-aqal..
Nasha pilaa ke girana to sab ko ata hai..
Jis khet se dehqaan ko mayassar nahin rozi.. Us khet ke har khoshaa-e-gandum ko jalaa do..
Aqqal ggo aastaan se door nahin..
Sitaaron se aagay jahan aur bhi hain..
Yahan ab mere raazdaan aur bhi hain..
Jinhen main dhoondta tha asmanon mein zameenon main..
Ke main khud bhi to hun iqbal apne nukta-cheenon main..
Tere ishq ki intehaa chahta hoon..
Bara be-adab hoon sazaa chahta hoon..
We update our poetry database on daily basis so keep coming back for more Allama Iqbal.